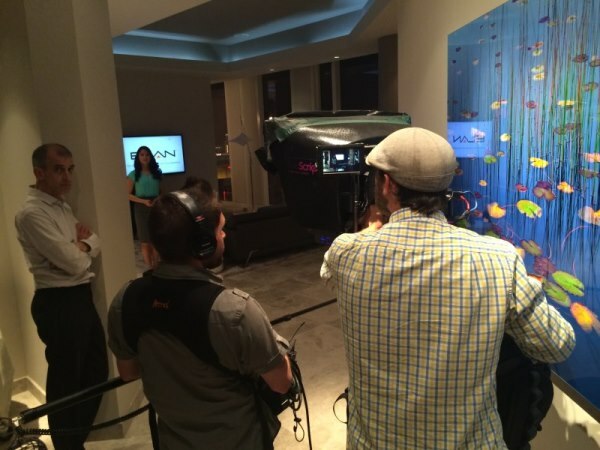 LAS VEGAS, MAY 12, 2014 — CueScript, a provider of creative prompting solutions with feature-rich designs for all broadcast production needs, offered well-established media production freelancer Brian Lynn the opportunity to beta test its CSM17 17” LED High Brightness HD-SDI Prompter Monitor during the 2014 NAB Show. Under a tight deadline to shoot a high-level, commercial market infomercial for Core Brands, Lynn entrusted broadcast industry leader and CueScript President Michael Accardi to provide him with a top-notch teleprompter that would get the job done. Just twenty-four hours before the shoot, the script was not ready, leaving the actress without enough time to memorize her lines and forcing Lynn to opt out of his original game plan to use a handheld Steadicam camera. Lynn quickly realized that in order to successfully pull off this project, he would need a teleprompter on set so that the talent could read her lines, leading him to also need a camera mounted on a tripod. The search was on. The CSM17 17” LED High Brightness HD-SDI Prompter Monitor features low energy consumption and a low power start up, two of the top requirements in today’s diverse range of production environments. Its three-mode adjustable power input includes low (26 watts), medium (30 watts) and high (38 watts). It also features an integrated mounting system, low profile design and an increased viewing angle (170 x 16) for easier screen readability. The CSM17 also offers customers built-in LED cue lights, which come standard with the CSM17, a feature more often found as an add-on option in this product category. Furthermore, CueScript offers LED adjustable brightness and 180-degree viewing, providing the tools and applications necessary for a variety of productions from an evening newscast to a light entertainment program. 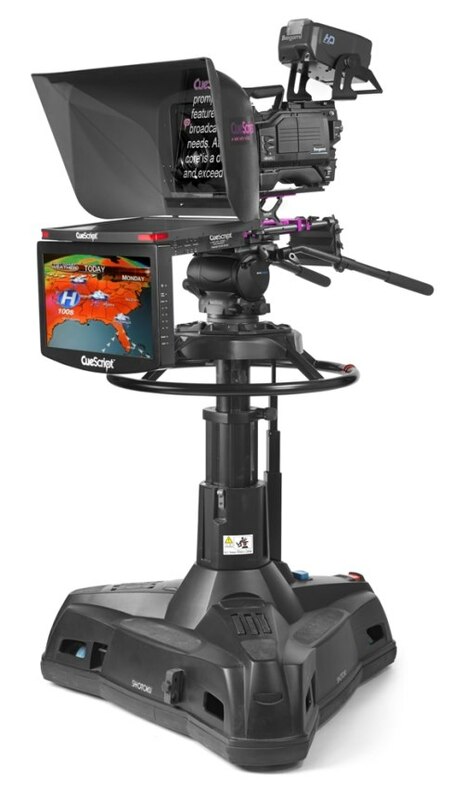 A highly compatible teleprompter, the CSM17 meets the following requirements: CE, TUV, FCC, C-Tick, PSE, RoHs.